Mixed grill: burning combinations of invasive and native plants helps us understand how invasive plants make fires hotter and more likely. Over the past year the global media has been full of reports of catastrophic fires in California, the Mediterranean, Chile and elsewhere. One suggested reason for increases in catastrophic wildfires has been human-induced climate change. Higher temperatures, drier weather and windier conditions all increase the impact of fires. Plantations of highly flammable exotic species, such as pines and eucalypts, probably helped to fuel the recent catastrophic fires in Portugal and in Chile. In arid regions, such as parts of the US southwest, the introduction of exotic grasses has transformed shrublands, as fires increase in severity. One of the main ways flammable invasive plants can have long-lasting impacts on an ecosystem comes from positive fire-vegetation feedbacks. Such feedbacks can occur when a flammable weed invades a less fire-prone ecosystem. By changing the available fuel the invader makes fires more likely and often hotter. If the invading species has characteristics that allow it to outcompete native species after a fire, then it will further dominate the ecosystem. Such traits include thick bark, the ability to resprout following fire, or seeds that survive burning. This invasion will likely lead to more fires, changing the species composition and function of the ecosystem in a “fire begets fire” cycle. Extreme examples of this dynamic are where flammable grasses or shrubs invade forests, leading to loss of the forest ecosystems. We collected 70cm shoots of four globally invasive species (of both high and low flammability) and burned them in pairwise combinations with New Zealand native trees and shrubs to determine which characteristics of a fire could be attributed to the invasive plants. Samples of Hakea sericea (foreground) and Kunzea robusta (rear) arranged on the grill of our plant barbecue. When we looked closer at the different components of flammability (combustibility, ignitability, consumability and sustainability) we found some important nuances in our results. While the maximum temperature reached in our burns (combustibility) and the ignition speed (ignitability) were both most influenced by the more flammable species, consumability (the amount of biomass burned) and sustainability (how long the fire burns) were equally influenced by both the more flammable and less flammable species. In short, more flammable weeds will cause a fire to ignite more quickly and burn hotter. However, less flammable species can reduce the duration of a fire compared to when a more flammable species is burnt alone. These results could have important ecological implications, as the longer a fire burns the more likely it is to kill plants: low-flammability plants could reduce this impact. Measuring how long a fire burns on our plant barbecue. Even low abundances of highly flammable invasive weeds could set in motion positive fire-vegetation feedbacks that lead to drastic changes to ecosystems. If this result holds when our shoot-scale experiments are repeated using field trials, then land managers should work quickly to remove even small infestations of highly flammable species, such as gorse (Ulex europaeus) and prickly hakea (Hakea sericea). Conversely, the role of low flammability plants in extinguishing fires further supports the suggestion that the strategic planting of such species across the landscape as “green firebreaks” could be a useful fire management tool. You should stop skylarking about with those bloody desert mice and try and stop those woody weeds. I could see clear through that paddock in the ‘60s. Now look at it. That scrub costs us tens of thousands of dollars in lost fodder and it’s almost impossible to muster the livestock. It certainly was a question worth asking. 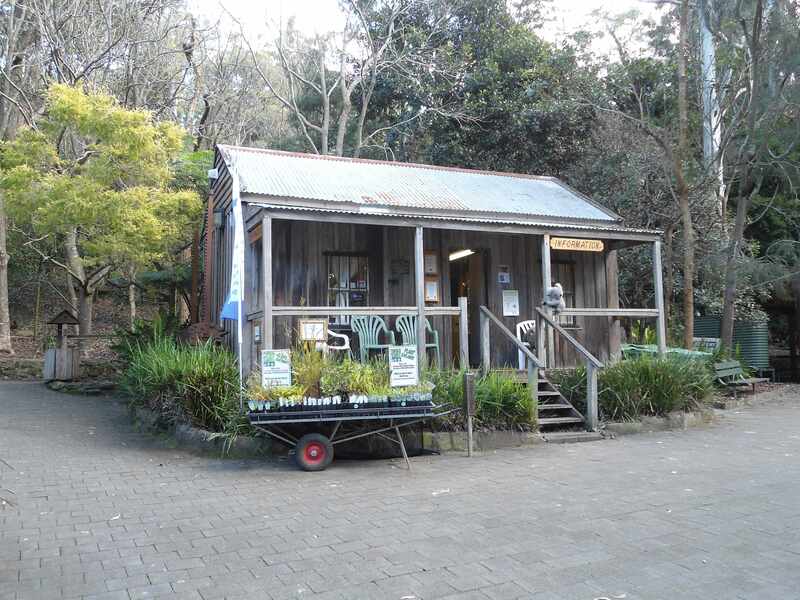 Shrub encroachment – an increase in the cover of woody shrubs in areas once dominated by grasses – is not just an issue in Australia. In two recent papers published in the journals Ecography and the Journal of Animal Ecology, we looked at one key reason why trees are invading grasslands, and how we could stop them. And it all comes down to tiny desert mice. “Invasive native vegetation”, as bureaucrats call it, is a major problem for livestock producers in drylands throughout the world. This is because the shrubs compete for space and light with the grasses needed to feed their cattle and sheep. Shrub encroachment ‘inside’ the Dingo Fence. It is a hard problem to tackle. Clearing and fire are the most common methods of controlling woody shrubs. But these methods are laborious and often hard to implement on large scales. Removing shrubs is also contentious because these are typically native species that provide important habitat for wildlife. The New South Wales parliament’s controversial relaxation in November of regulations governing vegetation clearing were designed partly to allow farmers to remove invasive native vegetation. The causes for the spread are complex and poorly understood. Shrub encroachment is often attributed to overgrazing by livestock, which favours the growth of shrubs over grasses. It has also been linked to a reduction in bushfires that wipe out the shrubs and an increase in atmospheric carbon dioxide, which can promote their growth. However, we suspected another important factor could be at play. And it was those little desert mice that provided us with a big clue – and a possible solution. Since European settlement, livestock grazing and the introduction of foxes, feral cats and rabbits have decimated Australia’s native mammals, especially in arid and semi-arid areas. The bilbies, bettongs, native rodents and other small mammals that became rare or extinct across much of the continent in the early 20th century once played essential roles in Australian ecosystems, by shifting vast amounts of soil and consuming vegetation and seeds. Historical accounts suggest that shrub encroachment quickly followed European settlement and mammal extinctions in many areas. This coincidence led us to ask: could the loss of native mammals be making Australia’s drylands woodier? To answer this question, we went to the northwest corner of NSW. 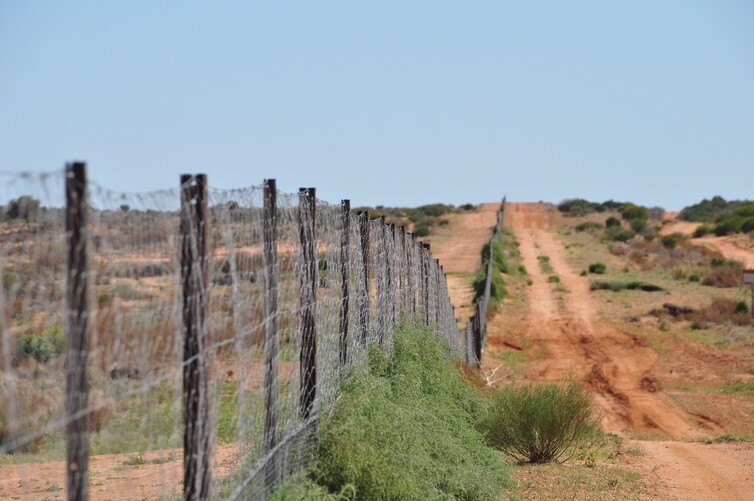 Here the Dingo Fence marks the border with Queensland and South Australia. We wanted to know whether the local extinction of a native mammal, the dusky hopping mouse, which eats shrub seeds and seedlings, would allow more shrubs to grow. The Dingo Fence was the perfect study site because dusky hopping mice are common on the northwest side, “outside” the fence, where dingoes are present. Dingoes keep fox numbers down, which are the mouse’s major predator. However, dusky hopping mice are rare on the “inside” of the fence (the NSW side), where dingoes are less common and foxes roam. We first used historical aerial photographs to show that shrub cover was consistently higher inside the dingo fence (rodents rare) than outside (rodents common). We then did field surveys, which showed that the numbers of shrubs, their seedlings and their seeds were greater where rodents were rare. We also showed that dusky hopping mice were major consumers of shrub seeds and capable of keeping the numbers of shrub seeds in the soil down. 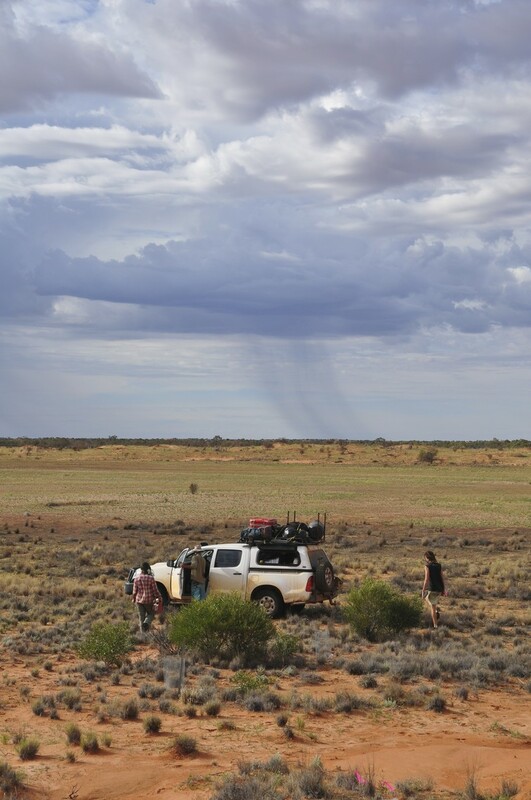 Fieldwork in the Strzelecki Desert. 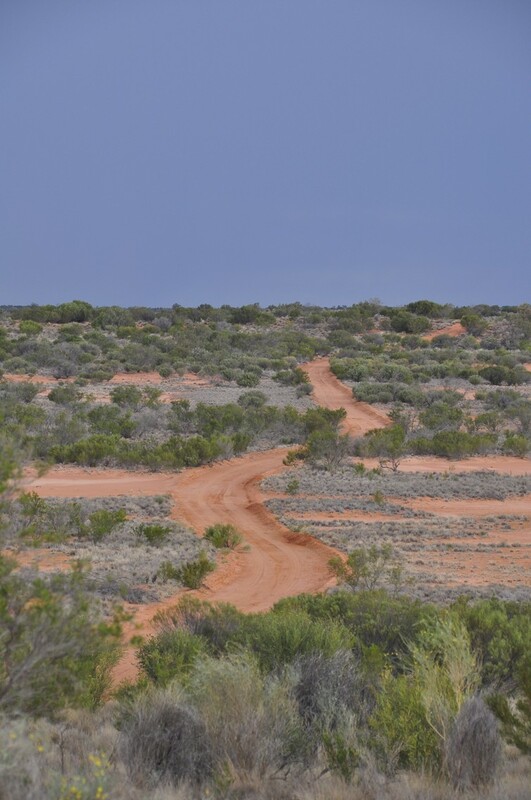 These results are exciting because they suggest that the loss of native mammals such as the dusky hopping mouse may be an important and overlooked driver of shrub encroachment, not only in arid Australia but also globally. Perhaps more exciting, however, is how we can apply our work. Our research suggests that “rewilding” drylands by re-establishing rodents and other native mammal species that eat shrub seeds and seedlings, such as bettongs and bilbies, could curb the shrub invasion. Although an abstract and even controversial idea, rewilding of native mammals would provide a long-term solution to a problem that has affected pastoralists for more than a century. Further, it would represent a natural and cost-effective strategy with enormous benefits for the conservation of imperilled native mammals. Before we can do so, we have to control foxes and feral cats across vast areas, which is no small feat. However, the economic and conservation potential make it an approach that is well worth taking seriously.